As I mentioned yesterday, I am seriously behind with my holiday shopping... and judging from what I've seen on social media, I'm definitely not the only one! As easy as it would be to just buy a handful of gift cards and be on my merry way, I'm just not a person who can do that (unless, of course, I know that's what the person really wants). I'm all about seeking out unique, personalized gifts that have meaning behind them. To me, it's such a fantastic rush when I find that perfect gift! Thankfully, one of my favorite companies is available for all of my last-minute gift needs from the comfort of my own couch. For those of you who may not be familiar with Uncommon Goods, it is a privately-owned retailer headquartered in Brooklyn, New York that features unique designs and handcrafted gifts. Not only do they offer some fantastic products that you can't find elsewhere, but also the company is committed to practices that support independent artists/designers, fair wages for all workers, and products that are made without harm to the environment. Additionally, they support causes close to their heart by donating $1 from every purchase made to non-profits like Women for Women, RAINN, and Reach Out and Read through their Better to Give program. As you might imagine, I have quite a few foodies on my shopping list, so when the fine folks at Uncommon Goods asked me to create a guide for last-minute shoppers like myself, I automatically gravitated to their Kitchen and Bar section. 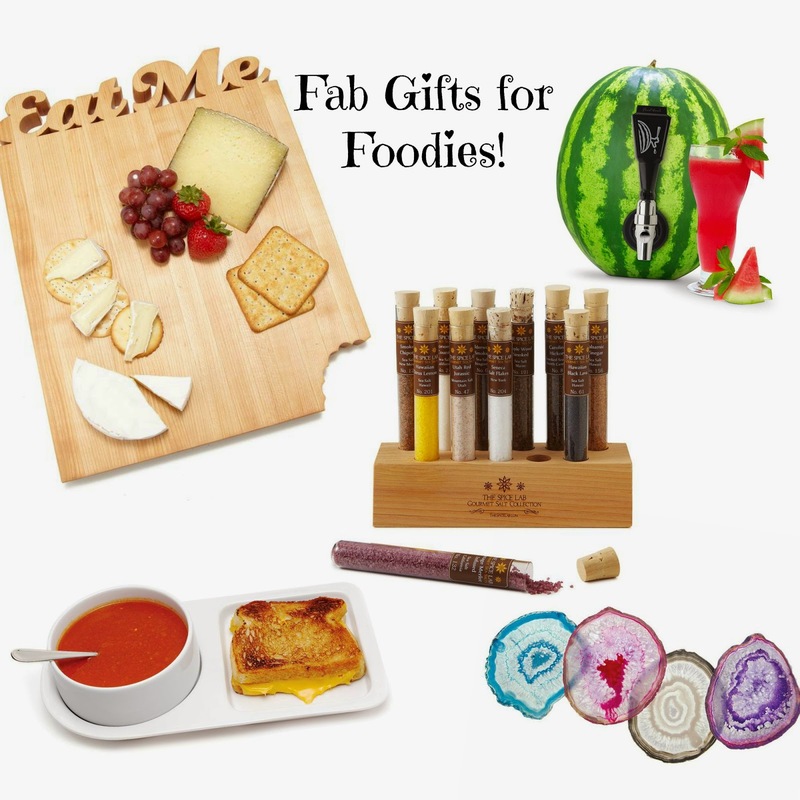 While all of the gifts I chose are food/drink-oriented (any of which I would be happen to receive... hint, hint), Uncommon Goods also carries a wide array of gifts to cover everyone on your gift list (click here to check out their Christmas gift collection), many of which are under $50 (click here for ideas). Disclosure: This post is in partnership with Uncommon Goods. Review; all opinions are my own. The cheese board is so cool! Hi, Starr. Those are "particular" (meaning peculiar in some cases) gifts. I haven't quite figured out what the dogs are (the ones on your post) but they look interesting. I hope you have a wonderful Christmas, and a great 2015. Great gift ideas! I have the tap and the salt and LOVE both. 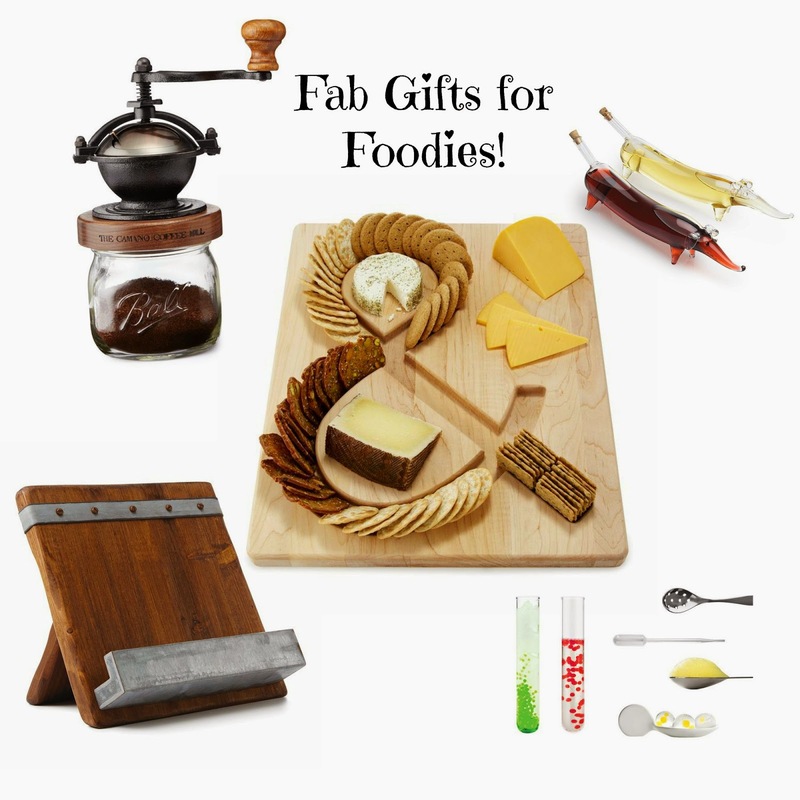 I love the & cheese tray, wish I needed one. These are some awesome finds, and I have no idea that they donated to non-profits! I like them even more now! They also have this convertible wine rack that is totally rad that is already on my list for someone next holiday season! ;-) Happy New Year, Starr!! @Renee: Happy New Year! :-) I've been shopping at UG for years & I was also happy to hear about their non-profit work. I'm heading over there right now to check out that rack!